Sunny Weather brings out my Polka-Dots! The last couple of days in the UK it’s been properly lovely and sunny (with actual warmth!) for the first time all year. It’s been a long time coming and boy am I glad. Yesterday I wore a lovely navy and white polka-dot dress and today I found myself wearing last years black and white polka-dot flip flops from Kate Kuba. They even have bows! 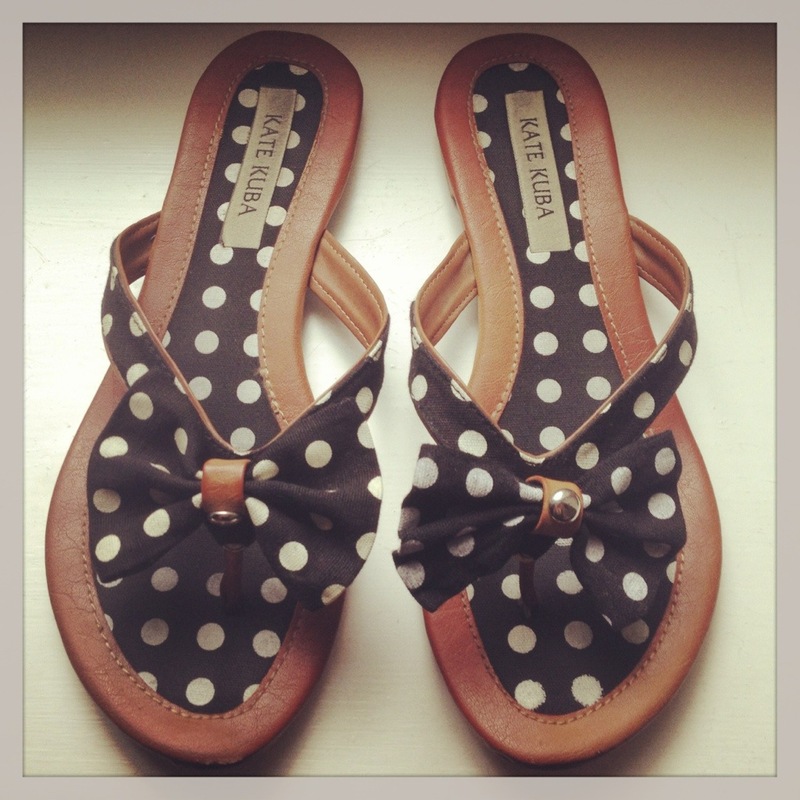 Three things I love; polka-dots, bows and flip flops, all in one cute little package! What do you start wearing when it hots up? ← Make your own Photo Booth Props! Thanks so much for your reply. I look forward to spotting the new spring styles soon. Hopefully you’ll be featuring more lovely bows (I’m a tad obsessed!). I purchased my first pair of wedge trainers from your online store a couple of weeks ago. The lovely ASH Bowie in Chamois (http://www.katekuba.co.uk/ash-bowie-womens-low-wedge-high-top-trainer-in-chamois.html). They are so comfortable. I’ll be writing a little post about those too.